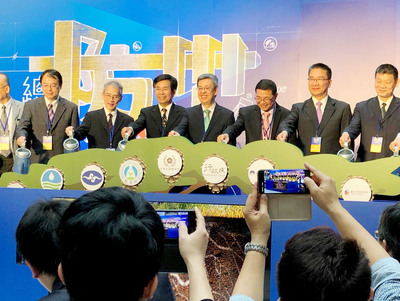 Taipei, Oct. 20 (CNA) Far Eastern Air Transport Corp. (FAT) said Saturday that it will launch chartered flights between Taiwan's outlying island of Penghu and Yangyang in South Korea, beginning from the following day. The flights will operate once every four days until Nov. 6 in a bid to boost travel interest from Penghu to Yangyang, which is about a two-hour car ride from Seoul. The service follows another FAT charter service launched recently that connects Taiwan Taoyuan International Airport and Yangyang between Oct. 17-Nov. 10 and will also operate once every four days during the period. Yangyang is among various new destinations FAT is trying to explore, since no local carriers offer flights there, the airline said. FAT, which operates mainly domestic flights, said it is targeting second-tier cities in its international flight network to tap into new markets. It currently operates scheduled international flights to Jeju in South Korea, Da Nang in Vietnam and Niigata in Japan. The carrier said it also provided chartered flights to Akita, Fukushima and Kochi in Japan earlier this year, which carried a combined 5,000 tourists.